Vince McMahon doesn’t like the idea that some of his Superstars would rather take a chance on the indies rather than stay with WWE. They are combating this trend of unhappy Superstars in the best way they know how by pushing them. WWE made a promise to The Revival that they would be a focal point in a new rejuvenated tag team division. Of course, this move was made to combat AEW in a lot of ways. Dave Meltzer noted on Wrestling Observer Radio that fans should expect to see WWE push a couple more Superstars very soon who are unhappy. He did not specify who he is talking about. However, if you see a Superstar suddenly get a push out of nowhere, that might be the reason why. With Kofi Kingston’s insertion in the Elimination Chamber match, it makes this statement very interesting. After all, WWE doesn’t want to lose The New Day to AEW and they realize this is a risk due to how close they are with The Elite. 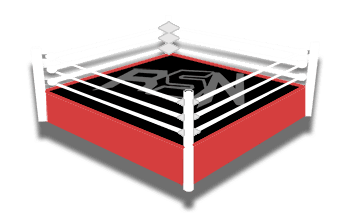 We will keep you posted as soon as we hear any new information here at Ringside News. X-Pac 1, 2, 360 Recap – Omegas Signs With AEW, Lynch’s “Brilliant” RAW Angle, Special Guest Chuck Taylor, More!